It was a tragic day for a Kenyan family living in the United States of America (USA) after a man mistakenly crushed his son with his car. Dan Mutuma, a nurse at Kansas City is said to have left for work when he rushed back home for some documents. Mr Mutuma ran into the house, grabbed his documents and bade his family good-bye. It is while he was reversing that he crushed his 18 month old son, Mishael Mutuma who had sneaked out of the house. “It is so painful to the entire family and especially to the father to have crushed his own son. There is no way he could have seen the kid who was playing behind. 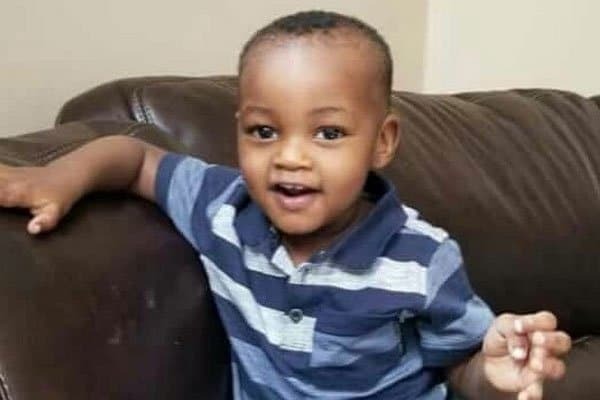 The child had run unnoticed behind the vehicle as the father was reversing,” Mr Mutuma’s brother-in-law Ezra Kamencu Mingaine told the Nation. According to Fox 4 News, neighbours heard the man wail shortly after the accident had taken place. Police are apparently treating the case as an accident. The child will be buried in the US as family members travel for the funeral. This comes weeks after a woman of Kenyan descent, Stella Kiarie was found in Peoria, Arizona with a rope around her neck in her car.